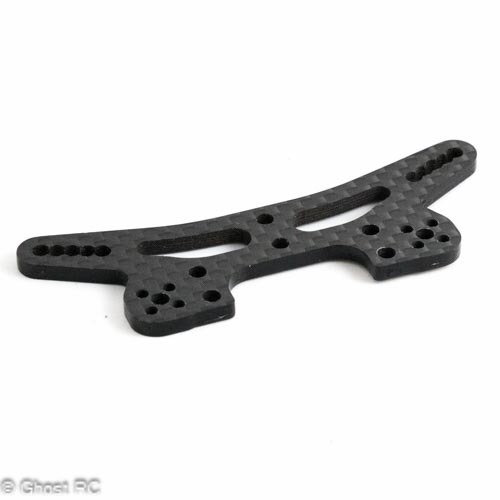 Lightly used 302087 Xray T3 Shock Tower Front 3.0mm Graphite. 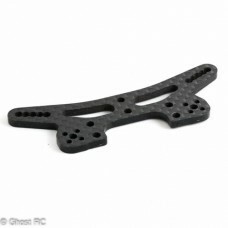 This is a replacement XRAY 3mm Graphite Front Shock Tower, and is intended for use with the XRAY T3. This super-low front shock tower has been CNC-machined from 3.0mm thick premium graphite material to guarantee maximum strength and long life. The low height allows the new shorter shocks to be mounted lower, lowering the CG even more and improving steering response. Specially machined for ultra-low weight without compromising strength. The shock tower features optimized lower shock mounting positions for the new shorter shock absorbers, as well as additional and relocated Quick Roll Center™ positions (total of 6). The all-in-one shock tower is optimized for use with rubber or foam tires.